Agencies - Hello, I'm Haley Landsman. Zeon, located in Milwaukee's Third Ward, specializes in eCommerce, Web Solutions & Custom Application Development. Zeon creates websites within the Magento, Znode and Sitecore platforms. As a Magento Program Manager, managed client relationships and projects. I worked with a variety of B2B and B2C clients with varying budgets and owned all project documentation and invoicing responsibilities. I worked with both on and offshore development teams on projects involving the Magento, Endeca, and Adobe Scene 7 platforms. I was given Zeon Solutions' January 2012 Employee of the Month award. Fullhouse is an interactive agency in Milwaukee's Third Ward. Fullhouse focuses on the complex sale and creates a unique experience for each customer. I work in client management and am the AE on the Johnson Controls team. I develop and pitch budgets and statements of work for new projects to best meet client needs. I work with Experience Design, Project Management, Technology and leadership to execute web, application, email, social media, PPC and SEO projects. Among the projects I work on are the Institute for Building Efficiency, BMA Milwaukee 'Bell Award' winning, & 'BMA B2 Award of Excellence' campaign; and the Buildings that Work, BMA Milwaukee 'Excellence Award' winning, campaign. GMR is an event marketing company that focuses on live events. 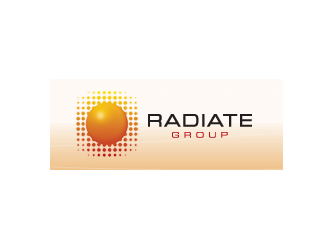 GMR is part of the Radiate Group. I was an AE on the Bank of America Account Team. Responsibilities included program development, implementation, management and assuring client satisfaction. I traveled often and had consistent client interaction. Projects I worked on included: Broadway in Bryant Park, 32 campus programs and 11 mall programs. Vivid Marketing, an Epic Company, is an experiential marketing shop based out of Atlanta, Georgia. I was a market manager for a nationwide Dole activation. Dole was promoting their new watermelon and lemon-lime Sensation juices in various cities and at ten sites throughout Milwaukee. The Family Kite Festival, the site I managed, was the largest site in Milwaukee. My team and I distributed over 10,000 samples from our footprint filled with 16 brand ambassadors and one mascot. Was able to set up a free promotional bit with one of the professional kite fliers and event hosts, in which the lemon-lime mascot flew a kite before the crowd. RepNation is a company that aims to connect consumers directly to products. I was the Lead Brand Rep for Mountain Dew on Marquette University's campus. The first program we executed was the Dew DIY Campaign, it was broken down into Art, Game/Tech and Gear segments. In December, Marquette was recognized as one of the top 10 programs. The second program, DEWmocracy, was focused on sampling. 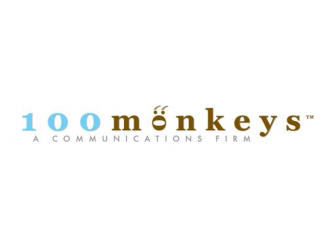 100 Monkeys is a communications firm that focuses on word-of-mouth marketing. I was trained as a BA for Cricket Wireless, Aurora Health Care and the Milwaukee Art Museum. Responsibilities included attending events in the Milwaukee area to spread the word about the services of the clients. At events, we engaged consumers with the product and gave away promotional materials. CKME is an agency that aims to bridge the gap between marketing and entertainment. I was trained as a BA for Bodyworlds. Responsibilities included attending events downtown Milwaukee to promote the exhibit while it was at the Milwaukee Public Museum. H2D is an agency that focuses on corporate image management. I assisted in the execution of new business. Responsibilities included analyzing marketing tactics, client research and presentation layout for pitches to potential new clients.